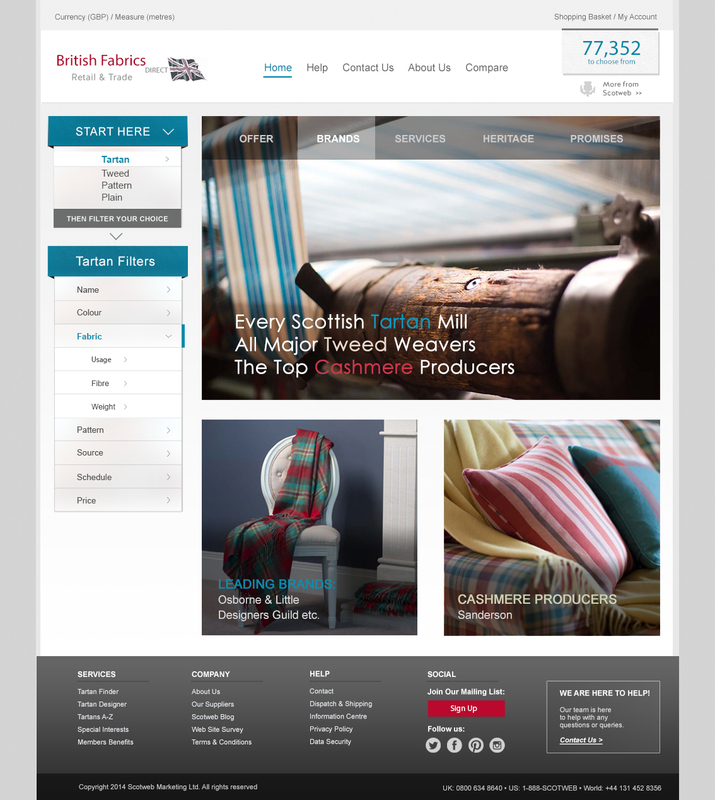 British Fabrics is a part of Tartan Mill who were the first in the world to market kilts, tartan fabrics, and bagpipes online. To this day, no one else comes close to the range of services they offer, or the value they provide. If you want the best, trust Tartan Mill. 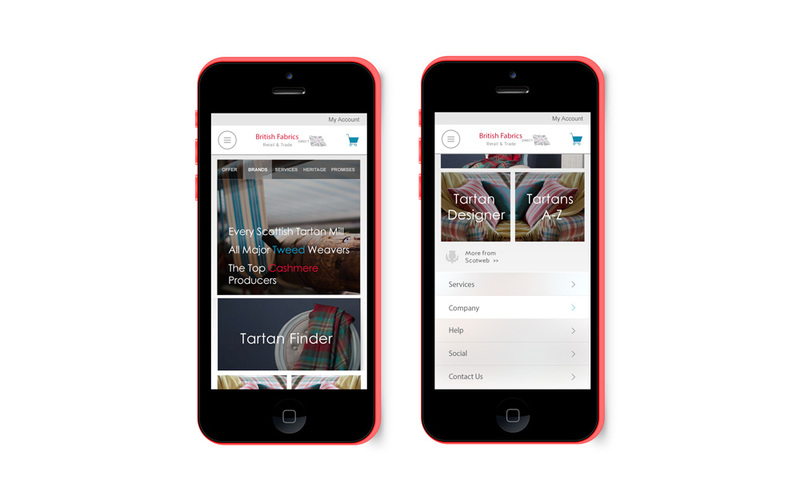 I was given the challenge to develop a full ‘look and feel’ for the new responsive website for British Fabrics. Particularly paying attention to the banner area and the filters menu. I developed a unique style for the British Fabrics website which keeps it separate from other Scotweb sites, but remains complimentary in its style. The final banner aerial is used to display the number of fabrics available at the store as well as stores relation to Scotweb. The homepage has a clear call to action – a search and filter menu that helps users find exactly what they are looking for.